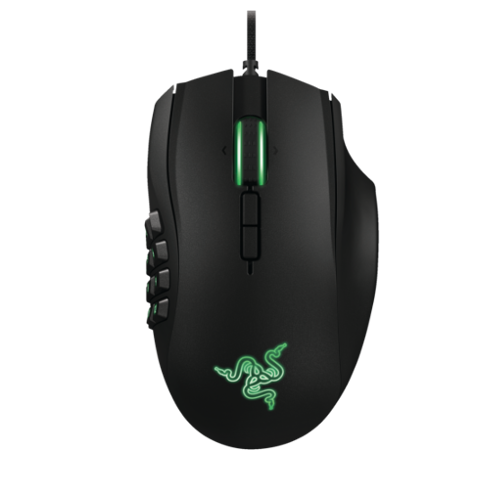 How does the left and right Tilt-click scroll wheel feature work on my Razer Naga 2014? Can I use the tilt scroll wheel for scrolling left and right? If you would like to change these bindings to scroll left and right, please enter Synapse 2.0 and select “Keyboard Function” for binding each direction. You can then set each tilt-click settings to the left and right arrow keys (or any combination of your choice). These keys can also be bound to macros and/or specific applications/games via profiles in Synapse 2.0. For more details, please select the Naga 2014 in the Synapse 2.0 window, then click on the “?” in the top right of Synapse 2.0. This will open the Razer Naga 2014 Master Guide. I’ve logged out of Synapse and now when I login my in-game configurator Add On doesn’t work, what do I do? This issue may occur if you have Razer Comms installed. Please reboot your PC and it should work again. Can I use the in-game mouse configurator software on my Mac? The in-game mouse configurator is only PC compatible. Please see the product tech specifications for more information. Does the new Razer Naga have interchangeable side panels? No, the new Razer Naga features an ergonomic shape that fits a wide range of hand sizes, shapes, and grip-styles. What is different about this Razer Naga compared to the 2012 model? The all-new Razer Naga is outfitted with mechanical thumb grid buttons, a tilt-click scroll wheel, redesigned form factor, and includes an in-game mouse configurator. Razer products are designed to work well beyond when the warranty has expired. However, If you feel your mouse is having issues we first suggest trying the mouse on another computer to insure the issue is with the mouse and not something within the computer system. If you have narrowed the issue to the mouse itself there is not really a cost effective repair center that would be able to assist you. Razer does make available some basic external spare parts at http://www.razerzone.com/store/gaming-accessories , but we are unable to supply any internal parts or repair guides. You can clean the mouse sensor using a Q-Tip lightly coated with rubbing alcohol and then letting the sensor dry for 5 minutes before attempting to use it. It is rare, but a light shot of air from a can of compressed air can sometime free debris that may be causing an issue. How do I maintain my Razer Mouse for optimum performance? For a complete list of our current spare parts and accessories please visit this website. If the item you need isn’t listed, please don’t hesitate to contact our Customer Support team here. I cannot get the On The Fly sensitivity function to work on my Razer mouse. How do I set it? If you were unable to troubleshoot and resolve any issues you are having with the knowledgebase (FAQ) and you feel your product is still defective, please don’t hesitate to contact us here or call1-888-697-2037. Please try cleaning the sensor lens with a Q-tip and some rubbing alcohol and let it dry for 5 minutes and try the mouse again. If it still doesn’t work, contact us here or call 1-888-697-2037.